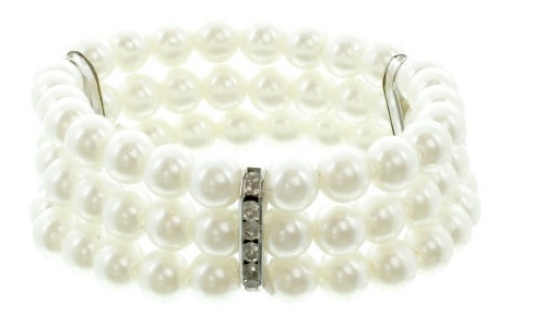 Home > Clothing Deals > Cents of Style: 50% off Fashion Accessories + Free Shipping! 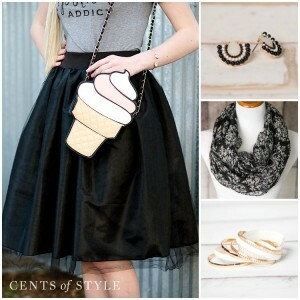 Cents of Style: 50% off Fashion Accessories + Free Shipping! I’m a classic jewelry and fashion kinda girl, so I go a little crazy for anything black & white. Today only you can take advantage of a huge Black & White sale at Cents of Style. They have over 100 items on sale 50% off + free shipping with code BLACK101. Plus… if you spend $10 or more you’ll also be offered a FREE bracelet at checkout!! You’ll find necklaces starting at $5.49, earrings and scarves for $7.95 and some great clothing deals too!! The skirt above is one of my favorites and is also included in the 50% off sale. This sale ends tonight, so don’t wait if you want something.